Space is limited - book soon - 4 spots left. Seven thousand feet above the world, you breathe in pine-scented autumn air. Behind you, a two-thousand-year-old church soars against the craggy, snow-capped horizon. 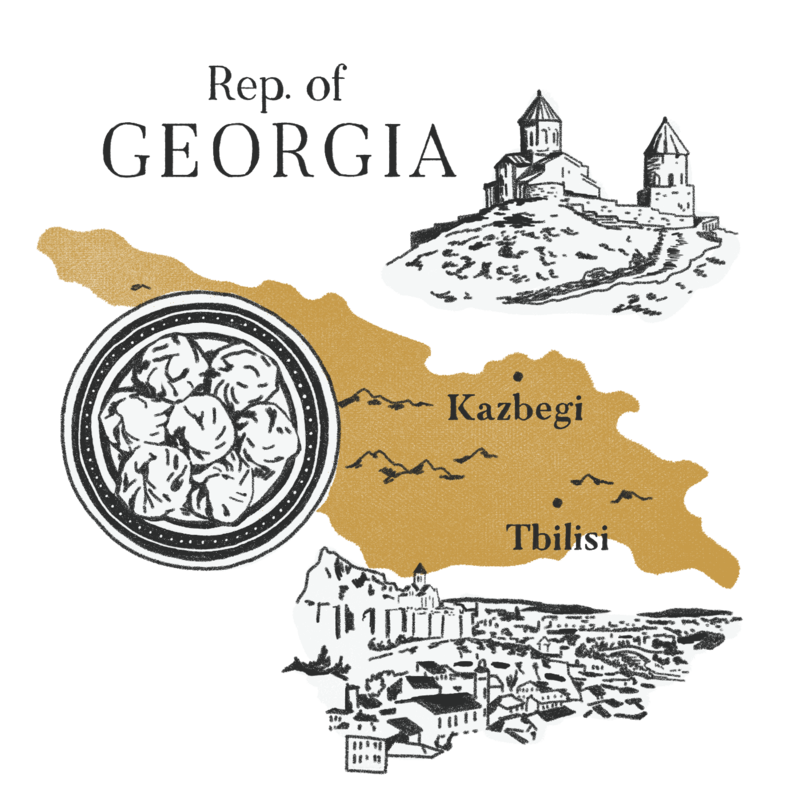 You’re in the small, mountainous republic of Georgia, cradle of civilization, birthplace of wine. 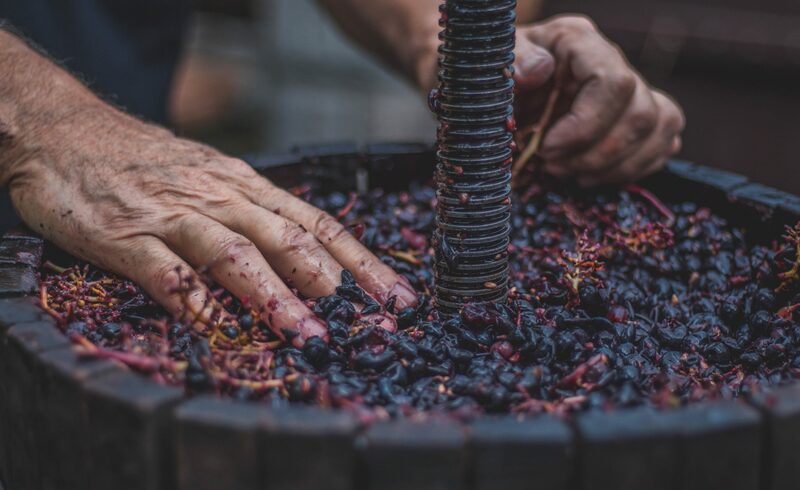 You’ve already experienced the bounty of the harvest, crushing grapes with your bare feet and sampling silky local varietals you’re still struggling to pronounce. But right now, those hillside vineyards are a world away. Somewhere down there, a rustic tavern lunch awaits, rich with saffron, garlic, and pomegranate. But you’re in no rush. In this moment, up here with the eagles, your sole focus is to drink in the sky. 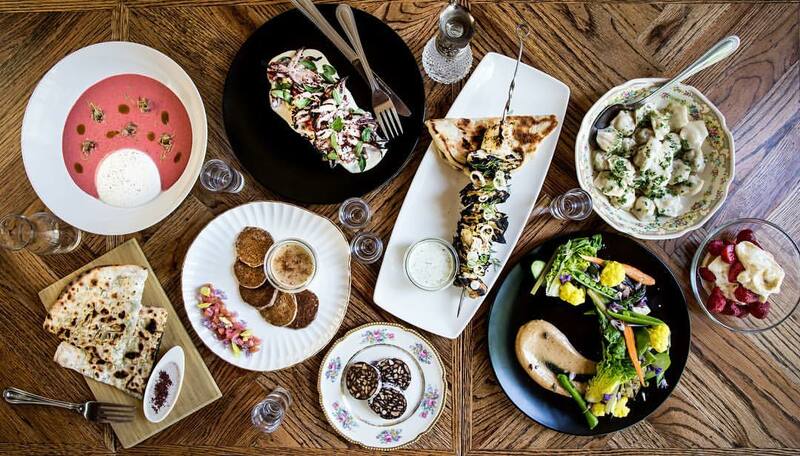 Your companions on this exquisite journey are Bonnie and Israel Morales, the dynamic duo behind Kachka, the award-winning Portland restaurant where the foods of the former Soviet Union are elevated to an art form. 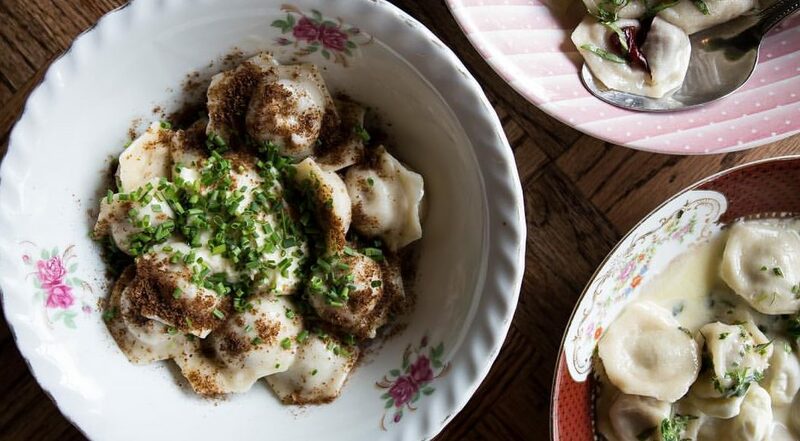 Georgian cuisine, with its dizzying array of flavors and spices, is beloved from the Baltics to the Russian Far East, a warm, fragrant source of comfort on cold winter nights. To know it is to love it — and to love it, as Bonnie and Israel know firsthand, is to find yourself always wanting more. 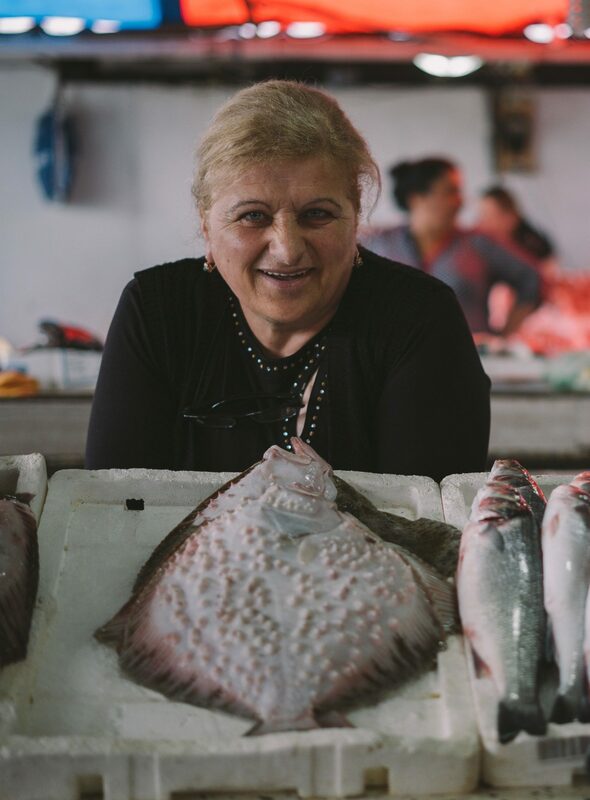 Join them for the ultimate master class in Georgian food, wine, and tamada, the art of hospitality. 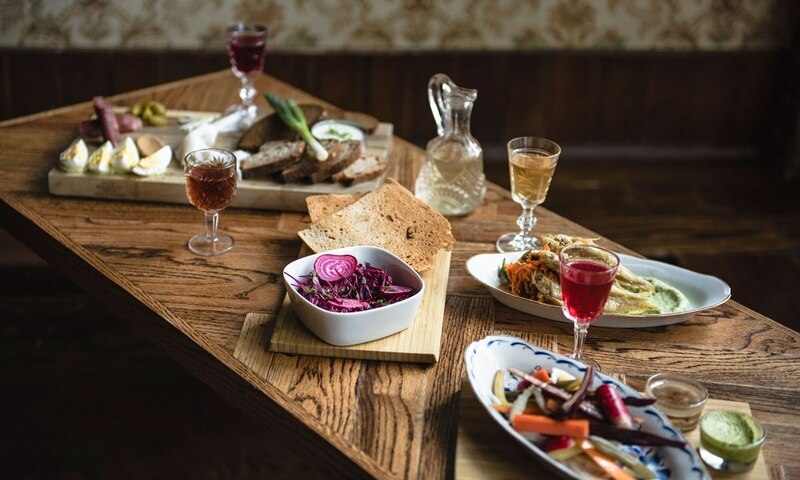 If your idea of paradise is a humble tavern where the locals break out in polyphonic song over tables piled high with platters of purple basil and emerald dill, sharp sheep’s milk cheese, robust stews and delicately sauced beans, this trip is for you. Whether you’re a passionate novice or a seasoned convert — no matter how much (or how little) you already know — by the end of the trip, you’ll be energized, inspired, and hungry for more. Arresting beauty in a corner of the world where rolling vineyards give rise to snow-capped mountains. In the traditions of an ancient culture, from classical ruins and medieval monasteries to boisterous martial arts. 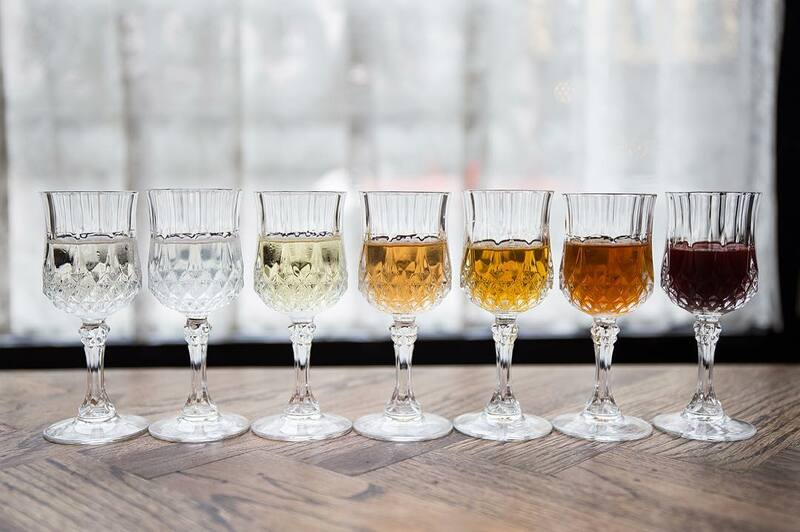 The aromatic, complex flavors of Georgian food and wine everywhere from the humblest tavern to the grandest chateau. The bounty of the harvest and the joyous rituals of the tamada toastmaster, with some of the world's oldest wines. We love Bonnie and Israel because the last thing they ever wanted to do was to open a restaurant (much less one based on Soviet home cooking). But they created Portland's Kachka because they had to. "We felt if we don’t, nobody will,” says Bonnie, who grew up eating her Belarusian parents' cooking. The result has introduced Soviet food's charm and flavor to a generation of foodies (along with doting writers from The New York Times, Bon Appetit and Food & Wine.) Now they're expanding their on-the-ground culinary explorations on their first trip to Georgia, the most influential of all former Soviet bloc cuisines. Bonnie calls “intense hospitality” a Russian thing. You feel it at their decked-out restaurant and bar, and with how they approach food and friends. Bonnie and Israel are driven to introduce Soviet cooking to people ("it's so varied and beautiful, so many bright flavors," as Bonnie says). Her recent Russian cookbook was the first in the US in nearly three decades, and the couple took their staff to Russia to learn on the ground. Travel with them means learning a lot. Bonnie and Israels' travel aesthetic is simple: "we eat and we hike," as Israel puts it. The Caucasus is the perfect setting. 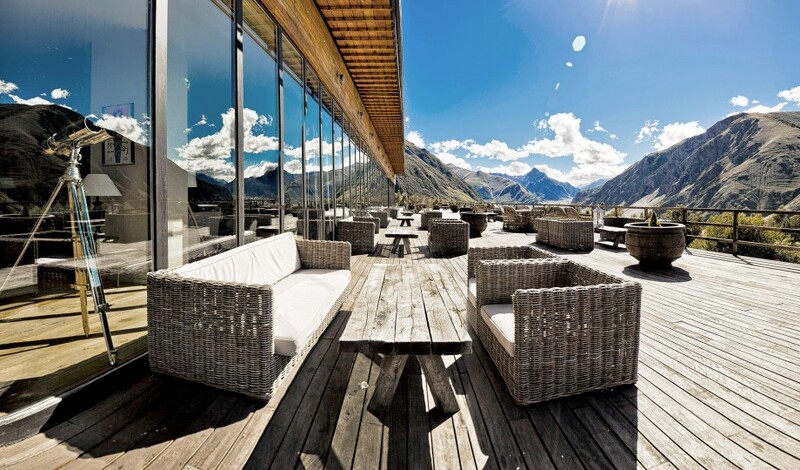 Not just for its wines and breads, but that it's home to hiking in Europe's highest mountains. Georgia with Bonnie and Israel. We’ll cook. We’ll toast. We’ll drink. We’ll eat. Climb a little, walk a lot. Then wake up and start all over again. Gamarzhobat! Welcome to bustling Tbilisi. Today we’ll explore the city from bottom to mountaintop, scaling fortresses and visiting grand Soviet monuments before losing ourselves in the twisting backstreets of the Old Town, where wrought-iron Art Deco balconies and traditional turquoise-tiled bathhouses jostle for space with slick modern galleries and coffeeshops. 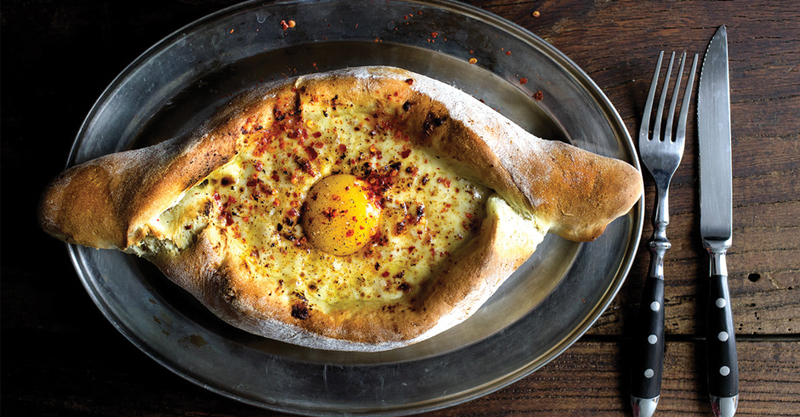 We’ll start our deep dive into the wonders of Georgian cuisine with a master class in khachapuri, the country’s iconic cheese bread. In the evening, Bonnie and Israel will treat us to a welcome banquet and introduce us to the art of the Georgian tamada, aka the beloved toastmaster, setting the scene for the grand adventure to come. Today we go broader and deeper, venturing outside the capital to explore Iron Age cave settlements and Unesco-protected, gorgeously frescoed medieval churches and monasteries. 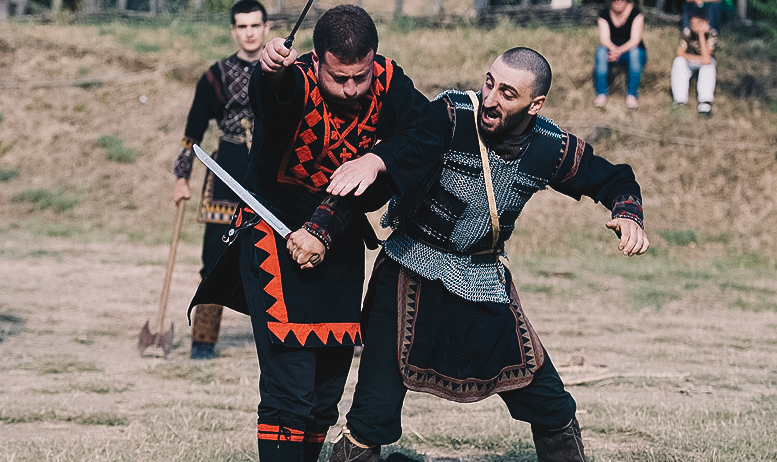 We’ll break our journey with a sumptuous lunch and wine-tasting at a 16th-century royal chateau, sampling dishes enjoyed by the Georgian nobility of yesteryear, then enjoy a private khridoli performance, an ancient hybrid of wrestling, fencing and archery. Back in town, we’ll spend the evening expanding our repertoire to include beloved classics like khinkali, juicy meat-filled dumplings aromatic with caraway and coriander, and chuchkhela, traditional candies of nuts strung together in grape leather. It’s harvest time! This morning we’ll head into verdant Kakheti, the heart of wine country, with sweeping views of rolling hills, lakes and vineyards along the way. After wandering through hilltop villages, admiring the cobblestone streets and pastel-colored balconies close at hand and the snow-capped peaks of the Caucasus looming in the distance, we’ll turn our attention to the main event: rtveli, the wine harvest. Israel, a certified sommelier, will serve as our guide as we go full I Love Lucy, picking the grapes, stomping them with our bare feet, and finally placing them in traditional qvevri, clay pots buried in the earth. In the evening, we’ll learn and dine at the Culinarium, Georgia’s first cooking school, founded and run by Tekuna Gachechiladze, the pioneer of nouvelle Georgian cuisine. Up, up, and away! 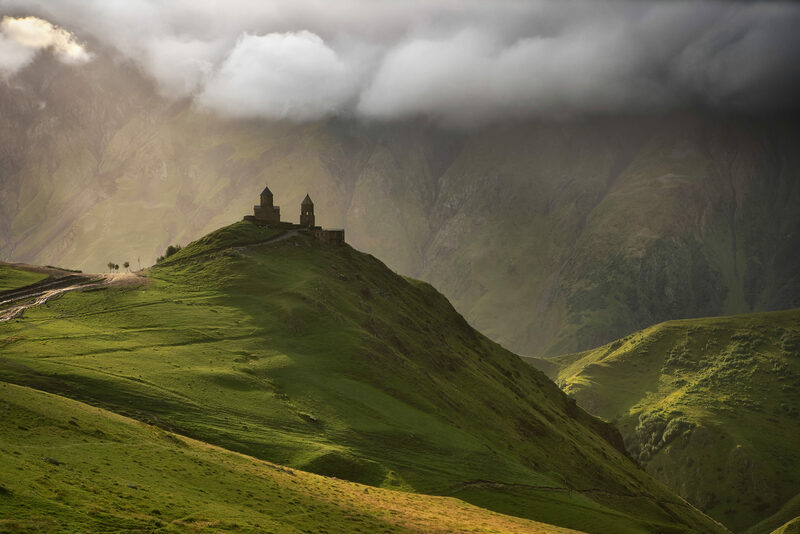 Today we shift our home base to Kazbegi, one of the highest inhabited points in the majestic Caucasus mountain range, threading our way ever upward past sulfuric hot springs, medieval watchtowers and sheer cliffs to catch a glimpse of mountain life. We’ll enjoy a rustic supra, or rural feast, with a local village family and learn more about their distinct highlander traditions. In the afternoon, we’ll traipse along the buttresses of a 13th-century castle before heading off to our mountain aerie of a hotel for a good night’s sleep. After breakfast, we’ll take a half-day hike up to the Gergeti Trinity Church, the national symbol of Georgia, which soars over 7,000 feet above sea level like an eagle in flight. After a well-deserved lunch at a local tavern, we’ll descend to our hotel for a relaxing evening spent soaking in the pool, trying our luck at the roulette table, or enjoying a spa treatment — or maybe all of the above. 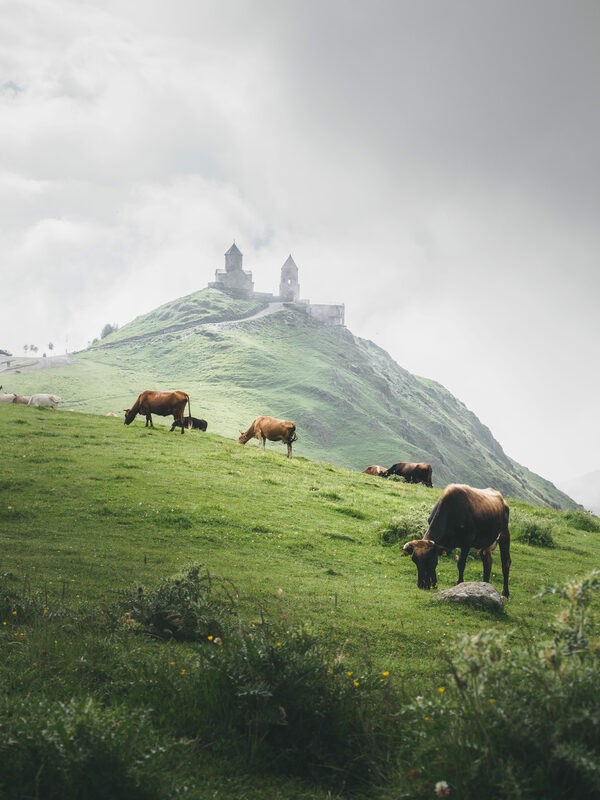 Our return to Tbilisi will be marked by majestic waterfalls, deep gorges and a slow passage through Kazbegi National Park. We’ll return to the capital reinvigorated, with a little time to revisit our favorite Old Town haunts and stock up on souvenirs from local boutiques and markets before preparing for the gala that awaits us: a farewell feast for all the senses, featuring all the greatest gastronomic hits of the past week, traditional singing and dancing, and of course endless rounds of toasts as we split duties as tamada (toastmaster). Prepare your toasts! Alas, our time in Georgia is done. For now. 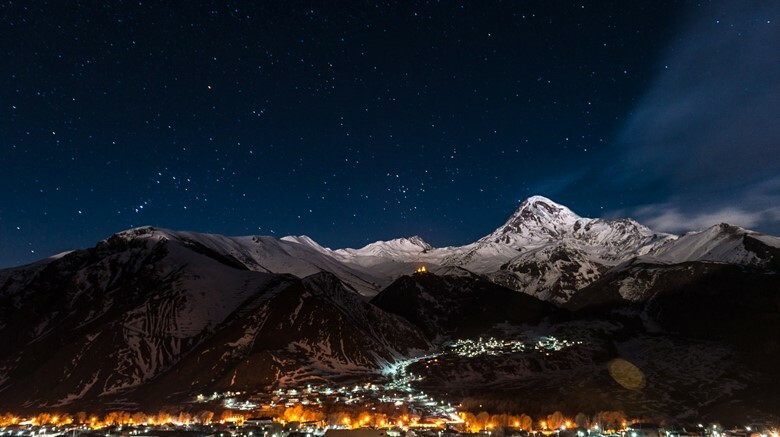 We’ll pack up, say our goodbyes and take back our new found appreciation of the Caucasus – and of our new friends! See you next time. 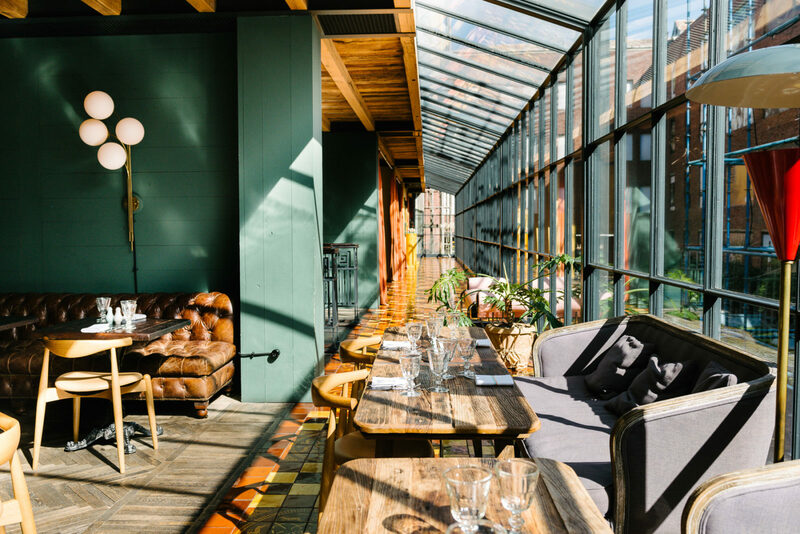 Nothing captures the playful, innovative spirit of today’s Georgia better than the Rooms hotels, where Soviet vintage and contemporary design, rustic regional artifacts and industrial flair blend together seamlessly. More than a just a hotel, this erstwhile Soviet publishing house is the kind of atrium-like crossroads where everyone turns up sooner or later, from black-clad artists just back from Berlin to local politicians and homegrown hipsters. On weekends you’ll find them all here, drinking cocktails in the library and enjoying breakfast at the lavish buffet, piled high with enough jewel-like fruits, jams and pastries to inspire a Dutch Master. Once a spa for the Soviet party elite, this lovingly restored, charmingly geometric hotel perched high in the Caucasus mountains boasts floor-to-ceiling windows throughout, ensuring that wherever you are — nestled in bed, curled up in a hand-crafted wicker chair on the sweeping terrace, swimming in the reflecting pool — the snow-capped peaks are so close it seems you can just about touch them. Six nights at unique 4-star accommodations; private travel for all day trips and excursions; departure airport transfer; private tours with local guides and cultural experts; exclusive VIP access and tastings; guided activities, adventures and expeditions; entrance fees; daily breakfasts, most lunches and dinners; local beverages with meals; gratuities for local staff. 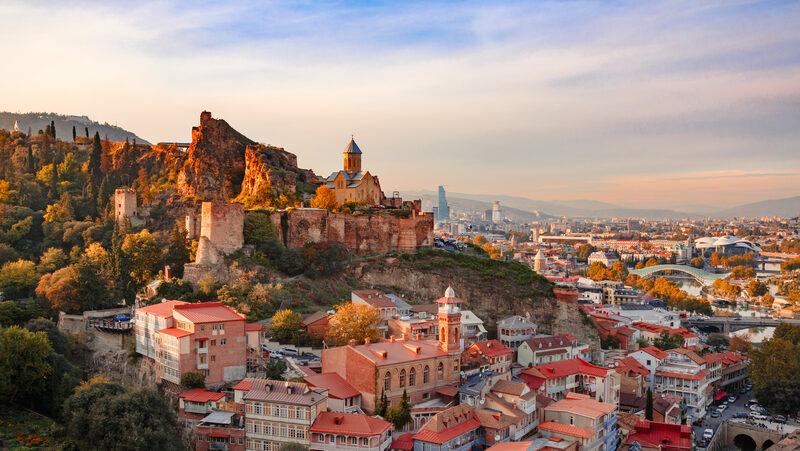 We recommend you arrive at the Tbilisi International Airport (TBS) in Tbilisi, Republic of Georgia on or before October 13, 2019. We’ll meet as a group on October 14, 2019. Our last day of this adventure is October 20, 2019. You should schedule flights home after 1pm from Bilbao Airport. We limit the group to no more than 20 fellow adventurers and your Modern Adventure team. Our experiences are fun and inclusive and you can expect to be joined by a diverse group in terms of age, background and interests – including solo travelers, couples and friends traveling together.. This adventure is recommended for travelers aged 18 and above. This trip is led by an expert Modern Adventure Trip Leader. They are an experienced travel guide, a representative of Modern Adventure and the person to go to with questions or concerns on the trip. We’ll be joined throughout our adventure by local, expert guides who are deeply knowledgeable with respect to local cultures, customs and history and are passionate about sharing that with us. We’ll also be joined by special guests Bonnie & Israel Morales. Yes, there is a $1,000 supplement for solo travelers, to be paid at the time of booking to secure a private room during the adventure. If you would like Modern Adventure to pair you with a roommate, that option may be available upon checkout – these spots are limited and available on a first-come, first-serve basis (See our Terms and Conditions for full details). Private US citizens are not required to have a visa for visits under one year in the Republic of Georgia. Just bring a valid US passport. For citizens of other countries, please check with the Georgia Embassy or Consulate for information and requirements. You may cancel on or before July 10, 2019 and receive a full refund minus a $500 per-person service fee. If you cancel between July 11 and August 14, 2019, there is a 50% cancellation fee. On or after August 15, 2019 there is a 100% cancellation fee. We highly recommend purchasing travel insurance as we are not able to make exceptions to this policy in cases family/medical emergency or cases of the trip being cancelled (See our Terms and Conditions for full details).